The overall market may be taking a dip, but CIMB Equities Research foresees that Malaysian Real Estate Investment Trusts (M-REITs) earnings will improve in this half of the year. It said improvement in the second half of the year will be supported by mid-single-digit rental reversions from retail assets in prominent locations, such as Suria KLCC, Mid Valley, The Gardens Mall and Sunway Pyramid. It also anticipates that there will be as stronger tenant sales boosted by year-end holidays, and year-on-year improvement will be supported by newly-added assets by MRCB-QUILL REIT. However, CIMB Research continues to adopt a neutral stance on the sector because it believes that it still lacks catalysts and the downsides are largely priced in. The research house said its outlook is supported by average CY17-18F dividend yields of 5.2% to 5.4%, at a discount to historical yields of 6% to 7%. Although the oversupply of office and retail space appears to loom over the sector, it said the high quality assets with continuous asset enhancement initiatives could be resilient. On the current quarter ending at June 30, 2017, , CIMB Research said all M-REITs under its coverage performed within expectation. M-REITs recorded an average core nett profit growth of 7.0% on-year and average dividend per unit growth of 0.9% on-year in June this year. This can mostly be attributed to new contribution from Menara Shell for MRCB-Quill REIT (acquired in Dec 2016) and positive portfolio rental reversions for all M-REITs (CapitaLand Malaysia Mall Trust being the exception. Excluding MRCB-Quill REIT, average second quarter nett profit rose by a modest 1% on-year. Tenant sales growth has been encouraging, CIMB Research said, especially for major malls in prominent areas – namely KLCC, Sunway Pyramid, Mid Valley Megamall and The Gardens. In the office market, the focus has shifted to tenant retention for short-term leases. It said office occupancy rates were broadly unchanged on-year, except for Menara Exxon-Mobil (now fully occupied) and Sunway REIT, which showed recovery due to a better showing by Menara Sunway and Sunway Putra Tower. M-REITs with shorter-term lease contracts located in less prominent areas have adopted a more defensive tenant retention strategy. 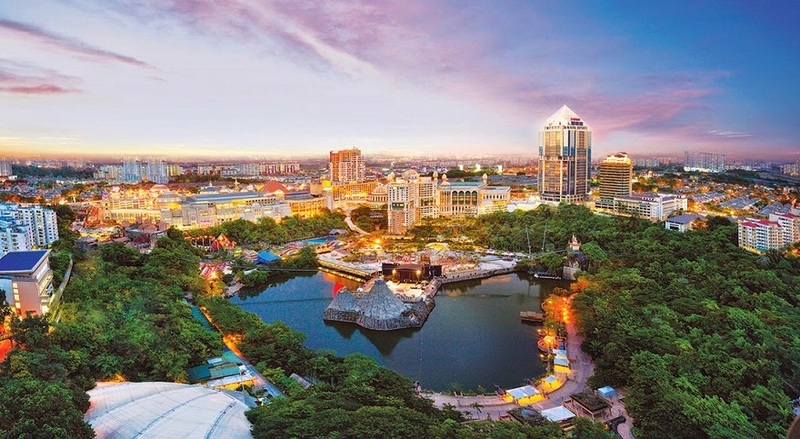 Positive earnings in the hotel segment were supported by growth in F&B revenue, especially for Sunway Resort Hotel & Spa and Mandarin Oriental Kuala Lumpur, where there has been a pick-up in bookings for meetings and functions. However, improving occupancy per available room for hotels in Sunway REIT’s portfolio has come at the expense of average daily room rates, which were lower on-year in the second quarter.